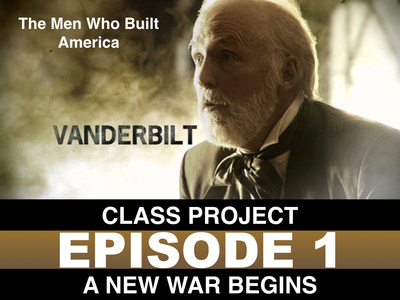 The Men Who Built America is your first extended project in 6th Grade Social Studies. 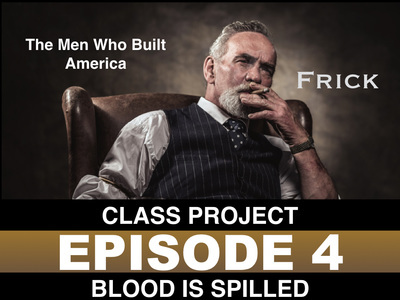 In this project you will watch a series by the History Channel called, The Men Who Built America. During the course of the series you will complete watching guides as you watch the videos. After the videos, you will work in your small groups to complete various activities with the major vocabulary of the episode. Then, you will learn how to participate in interactive discussion forums online by answering questions about the movie and posting your thoughts about your peers' answers. Finally, you will investigate the main topic in each video further by watching video clips, analyzing photographs, or evaluating primary documents. 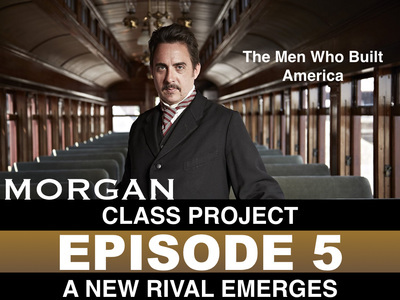 After all 8 episodes are complete, you will learn the difference in the terms, Captain of Industry and Robber Baron. Then you will use all the information you have gathered to create a character chart for each of the major industrialists. 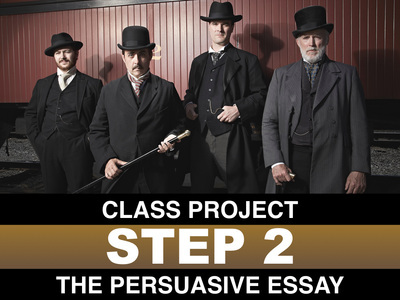 Finally, you will choose one industrialist as the subject of a persuasive writing essay. 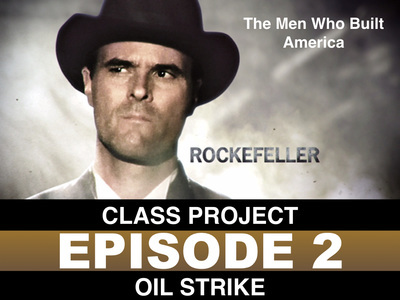 Your task will be to persuade the reader to agree with your point of view about the industrialist you chose. Do not worry! You will be guided through each stage of the writing process! This project is broken down into parts that we will work daily to complete. You will be instructed which part icon to click on each day. When all the parts of the project are complete, the project will be complete. Each part is worth a different amount of points. You will be graded on the parts of the project instead of receiving one big grade. The rubric for each part of the project is covered on its own lesson page. To see the project parts, click on the icons below. 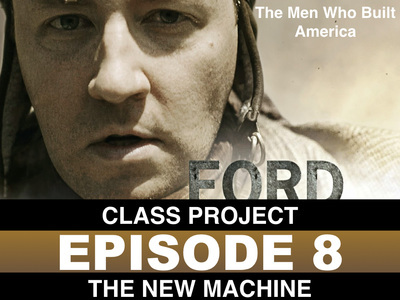 Part 1 of the Men Who Built America Project is to complete the lessons on each Episode of the Series. 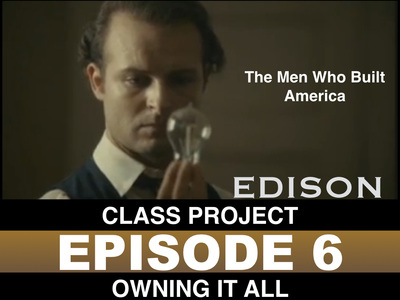 To go to a specific episode lesson, click on an icon below. 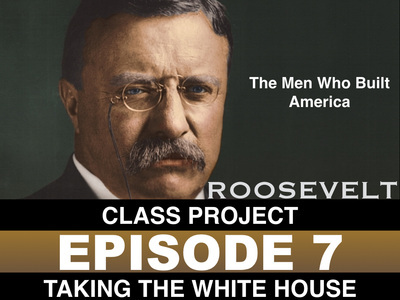 In Part 2 of the Men Who Built America Project, you will choose one of the Men Who Built America to write about. 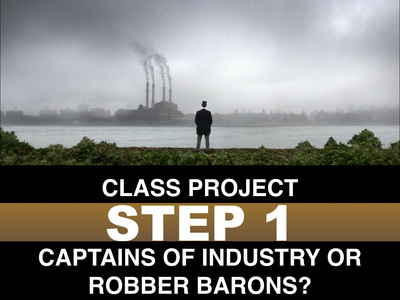 Your job is to decide whether the man you picked is a Captain of Industry or Robber Baron. You will use all of the information you have collected from the Series and write a persuasive essay. 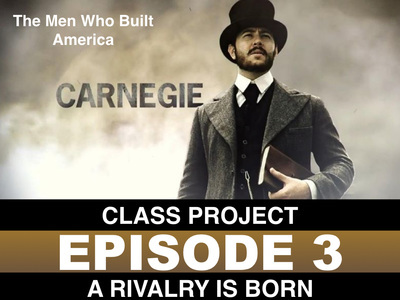 In the essay, you will try to persuade others that the man you chose is, in fact, a Captain of Industry or Robber Baron using evidence that you have compiled from each Episode Lesson. Click on the icons below to complete each step in writing process.